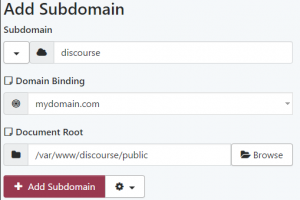 Discourse is a popular forum software written in Ruby. Because Discourse relies on Docker, which is incompatible with the platform, installation must be carried out manually. A Pro package is recommended to run Discourse as each worker is approximately 200 MB. Installation is done within the Terminal. Verify the Ruby interpreter is at least 2.3.1. Switch interpreters if not. Create a PostgreSQL database (Databases > PostgreSQL Manager). Be sure to bump the user designated to connect to the database from the system default 5 to 15 concurrent connections. Discourse pools its connections and requires a higher allowance. Create a new user to relay email for Discourse via User > Add User. Ensure that the user has email privileges (incoming, outgoing) enabled. Migration will fail requiring the hstore, pg_trgm extensions. Open a ticket in the panel to request hstore and pg_trgm to be added to your PostgreSQL database (also include the database name). Alternatively, use Beacon to call sql_add_pgsql_extension. Both “pg_trgm” and “hstore” are supported. Add PassengerRuby directive to your .htaccess control under public/, e.g. 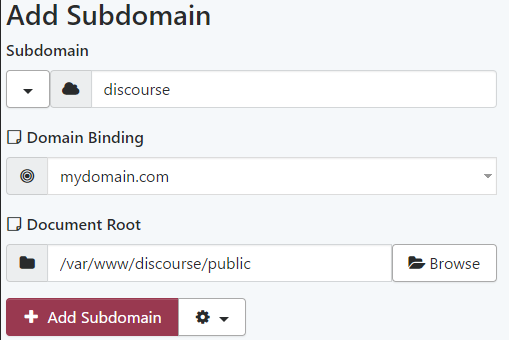 Lastly, connect discourse/public to a subdomain or addon domain. Without a CDN, Discourse will serve all content through its application, which creates significant overhead. Placing a CDN in front of the static assets will allow a third-party to cache and send static content thus speeding up Discourse significantly. Any CDN will work. Amazon CloudFront offers 50 GB free and will be used for this example. Whitelist Headers is now accessible. Under the header list, select Origin. Click Add >>. Visit DNS > DNS Manager. 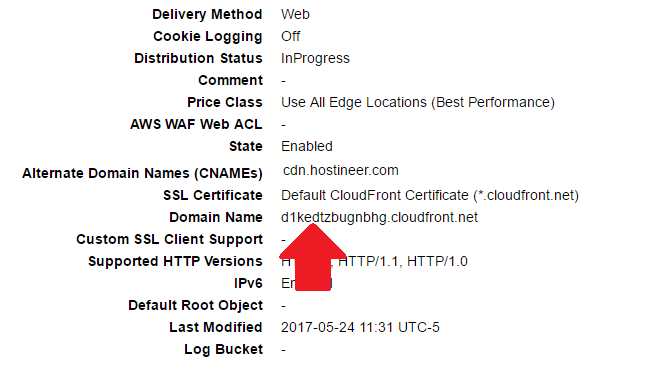 Create a new CNAME record for cdn.mydomain.com. 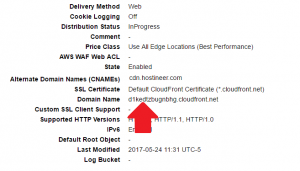 Enter the CloudFront Domain Name as your parameter. This entry was posted in Ruby and tagged advanced.